A global data set of land distances from the nearest coastline. 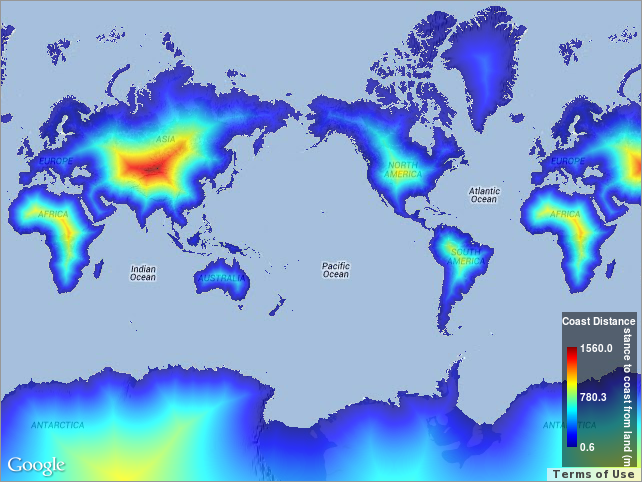 NASA's Ocean Color Group generated this data set using the Generic Mapping Tools (GMT) software package. Distances were computed with GMT using its intermediate-resolution coastline and then gridded globally at a spatial resolution of 0.04 degrees.